 Go to this website, and find your model in the list. Click on any game to find your router's default gateway address. If the default address does not grant you access to the panel find the current address via the command prompt in step . Open a new tab in your web browser and input the gateway address into the search bar. Press Enter. A small window or a page will pop up, asking you for the login credentials. The defaults (both name and password) are usually "admin" (without quote marks). Sometimes the "admin" word needs to be capitalized ("Admin"), sometimes the "admin" username is replaced with "User", sometimes the password is "123" etc. Use this website if you're having trouble finding the default login info. Alternatively ask the person in charge of the device for the modified credentials in case they have any. Entering your router control panel, look for a tab that says "Port Forwarding" / "Forwarding" / "Port Mapping" or any variation thereof. A bunch of numbers and text will then show up. Look for the IPv4 Address line, and write the IP you find there into the IP Address field. Using the IP in my example is not likely to work. You will need to find your own IP address via the method I described above. SFD's port is 52233 by default (fill this in for both external/internal or private/public port fields, if you are required to). The protocols you should be using are both TCP and UDP (choose the option that uses both in your entry). Any reference to an "IP" field is going to require your IPv4 address. Fill the rest of the information in accordingly. Once you're done, save the entry and make sure you apply/save any changes if the router requires you to do so. Some routers might need to be restarted before the changes are finalized. Most don't. You're all done! You can now proceed to host a public game for others to join or give your IP address to your friends so they can connect to your private game directly. Finding the router brand and model from the physical device. Finding the brand and the model in the online port-forwarding website. Finding the address to be input into the browser's search bar. Logging into the router control panel. Creating the port and finding your IPv4 address. 1. Your IPv4 address is going to change periodically. This will invalidate the entry you created and you won't be able to host again until the router cycles the address to the one you input initially. Most routers don't set up a static IPv4 address because it's less secure to do so. I didn't know this at first and couldn't host any multiplayer games for a few months as a result. If you were ever able to host but can't do it anymore, or can only do it sometimes, this is the reason why. Repeat the "IP Address field" step in step  to get the new address (CMD => 'ipconfig'), and then update the existing port entry with it. 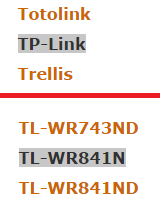 The address changes on a daily (every PC/router restart) or weekly basis. 2. The tutorial introduces you to 3 different types of addresses, all fulfilling a different role. It is imperative that you understand when to use which address in order to successfully forward your ports. The gateway address (ex. 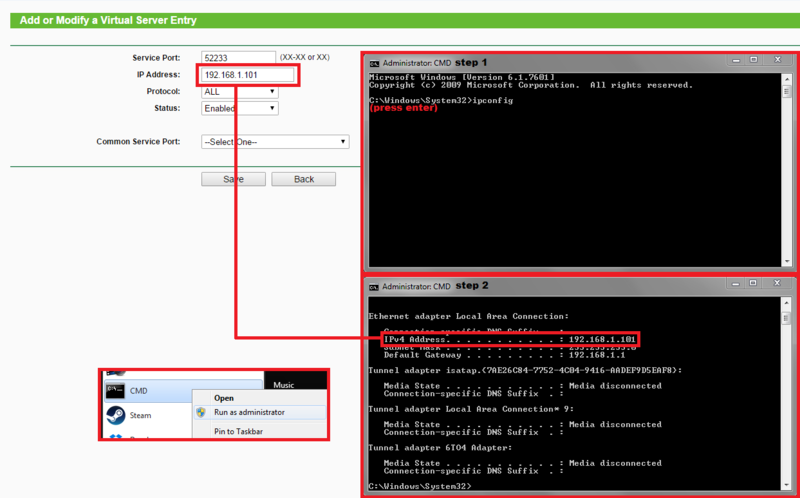 10.0.0.138) is the address you use to get into your router's control panel. It is not used anywhere but in your browser's search bar. The IPv4 address (ex. 192.168.0.1) is the address you use in all your forwarding entries; when you create a new entry for a port and you're asked to input an "address", it is always going to be your IPv4 address, never anything else. Players do not use this address to connect to your game unless you're on the same network. Finally, the IP address (ex. 221.192.199.49) is the address you give your friends so they can connect to your lobby online. It is never used anywhere else but in-game. Remember not to mix the addresses up, e.g using your IP address in place of the IPv4 address when creating the forwarding entry. 3. If you follow step  and see the "ipconfig" results including IPv6 addresses (long number and letter strings that look like this), disable the protocol by following this tutorial. It is likely to interfere with the port forwarding process, and result in your router not accepting the IPv4 address you give it even if it's correct. 4. If no results show up at all - if the prompt line does not detect the 'ipconfig' command as a valid query - run the program 'As Administrator' or otherwise ensure you have administrator priviliges (that you are the owner) on your computer. Online - Everyone can see and connect to your server if there is space and it is not password protected. Private - The server is hidden away in the server browser and can only be connected to via your personal IP address. Offline - The server will only accept local connections or allow multiple players to play on the same machine. Ensure you are using the right setting, e.g Online for the full online experience. 6. Always have your friends connect to your server through your personal IP address. There's always a possibility you've accidentally changed a setting in-game which hid or otherwise moved your server on the server list, making it harder to find right away. If you want your friends to connect to your server through IP give them the IP address you are currently using. 7. Most routers are set to change IP addresses on a regular basis. If you want your friends to connect directly to your server each time you host, check your IP manually before each play session. The address you used in previous play sessions is not likely to be relevant anymore. Bookmark the site linked above or just google "my ip". 8. Make sure your firewall isn't blocking external connections through SFD by allowing them in the firewall settings (Control Panel => Windows Firewall => Advanced Settings => Inbound Rules). Every instance of SFD in the list should look like this. 9. Make sure the UPnP protocol set is enabled on your router. I enable/disable the option from under the Networking Tools tab; you might need to explore your router's interface to find the option on your own. You may be required to restart the router in order to apply the change. 10. If you follow through with the manual method described in this thread, disable the "Automatic Port Forwarding" option from the options menu in-game. Your manual forwarding might(?) not work unless you disable it. Seeing how the old forum will be closed in a few weeks, I decided to post my old port-forwarding tutorial here and improve it so it doesn't go to waste entirely and can be used for future reference. I worded some steps differently, merged step #1 and #2 together so you get less clutter, and fixed some mistakes I never noticed before duplicating the guide. As usual, feel free to PM me with any problems you might run into; do keep in mind that posting in the thread and getting multiple answers will probably raise your odds at succeeding in the port-forwarding task and hosting your own multiplayer game. I'd also like to get feedback on the structure of the tutorial; if it's too colorful or not colorful enough, has BBCoding issues, or the format is hard to understand, say so and I'll try to improve it. Here's a small minor question. Does one need to have the modem (Ethernet cable that goes into the back of your PC) or can you just do all of the steps without it? DreTheGamer wrote: Here's a small minor question. Does one need to have the modem (Ethernet cable that goes into the back of your PC) or can you just do all of the steps without it? Back when my PC was wireless, as long as I had internet access and access to the router (internet service provider), it worked like a charm. Just trying to make sure. I moved my PC to my room, and now there aren't really individuals joining my game. My port is fine, I guess it's just my crappy PC which is XP by the way. I don't think OS has anything to do with it. Make sure you're using a TCP/UDP port and your open port on SFD matches the port you opened. I've always opened both TCP and UDP for my port forwarding. Give that a try if you haven't already. I've never had much success with wireless hosting, at least not recently, but in theory it should work. If you are having trouble since you turned your internet connection from ethernet to wi-fi, this may be due to the fact that your router gave another LOCAL IP (the one you use when you setup your router to port-forward) to your PC upon it changing its internet interface. Also, if it keep changing, some routers allows a feature that enable you to set a specific MAC adress to a specific local IP. To find your MAC adress (aka physical adress), instead of typing 'ipconfig', type 'ipconfig /all'. 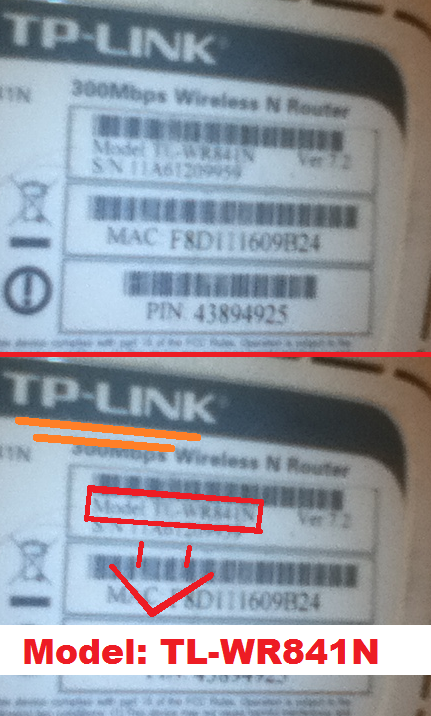 Now look for the physical adress of your wi-fi (wireless) or ethernet interface (the one with a wire). Note that this 'local' IP is not your real IP, players shouldn't type it to join your game. Anyway, I got to say that this guide is pretty complete, good job on this one. I saw what you meant by the Physical Address thing and it works now! Thanks for the help guys, even though I have my PF set up already, just needed to figure out the wireless part. Best of gaming to you all. And by the way, do I need to make sure that this won't interfere with my internet in general because I saw another connection, well wireless connection that was screwing around with my internet & I noticed that it was Hamachi, so I uninstalled it completely from my PC just to be sure. Port forwarding should be fairly safe as long as you forward an exact game port (such as SFD) rather than a range of ports (for example, all ports from 52233 to 53233). MY MUM CHANGED ROUTER PASSWORD AND FORGOTT IT AFTER THAT!! Is it possible to recover it? A quick Google search revealed you might be able to reset your device manually, removing all custom configurations including any forwarded ports and your custom set password. If you aren't able to reset the router manually try forwarding your ports with a desktop application rather than your usual router interface, also the third method mentioned in the article I linked. KliPeH wrote: Give your IP to your friends so they can play with you! Wait, wait, wait. So, even after port-forwarding, people need your IP to join, instead of simply joining the server?? I'm having problems port-forwarding since I changed my modem, but I remember that before I just manually port-forwarded and people could join my server. No, I deliberately said "friends" because if you were to make a private server for yourself and your friends you'd give them the IP so they could use the connect-to-IP option rather than the server list (since a private server won't show up in the public-server list). If you don't mind random people joining in or aren't playing with friends just make sure the "public" option is checked and you're all good to go. just one question, how to find out which port is used by anything, and which ports are allowed to use? i have a problem with hosting. When i click to host a game and i start my server its okay and the port forwarding is also okay. But nobody can join. Its on public game and there is 7 free slots and there isnt any bug or crash. And the game is on the firewall list so the firewall dont block it. Before that i could host and i did it a lot but i update my windows 10 and i bought a new video card etc. and after that i had this problem. My port forward is 52233. 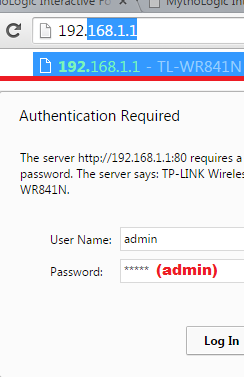 I tried to switch off the automatic port forwarding or try other port number than 52233 but nothing changed. My friend in my street have the 52233 port like me and he can host without any problem. When my friends tried to join to me it just counted up to 8. Last edited by Tearum on Wed Jul 27, 2016 2:40 pm, edited 2 times in total. The end means that something begin.